With the feel of summer finally in the air, and daylight savings now keeping us out past 6pm, the season of the Spritz is finally upon us. Semi-sweet, slightly bitter, and pleasantly citrusy, if you’re not familiar with Aperol, Campari’s lighter and brighter cousin, this summer is the ideal time to get acquainted. 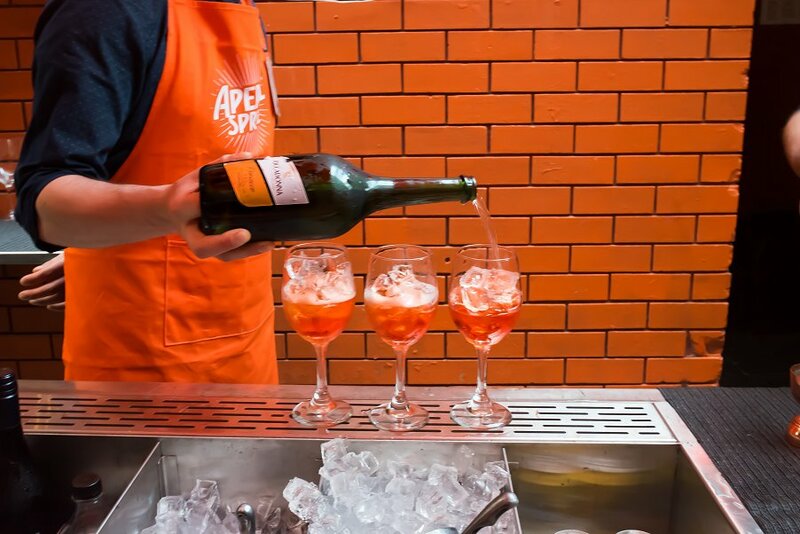 The perfect marriage of Prosecco, Aperol, soda and a slice of orange, the Aperol Spritz is quickly becoming an Australian drink of choice, especially as the city heats up again. And luckily for us, there’s now an entire pop-up laneway bar dedicated to this seasonal sensation. 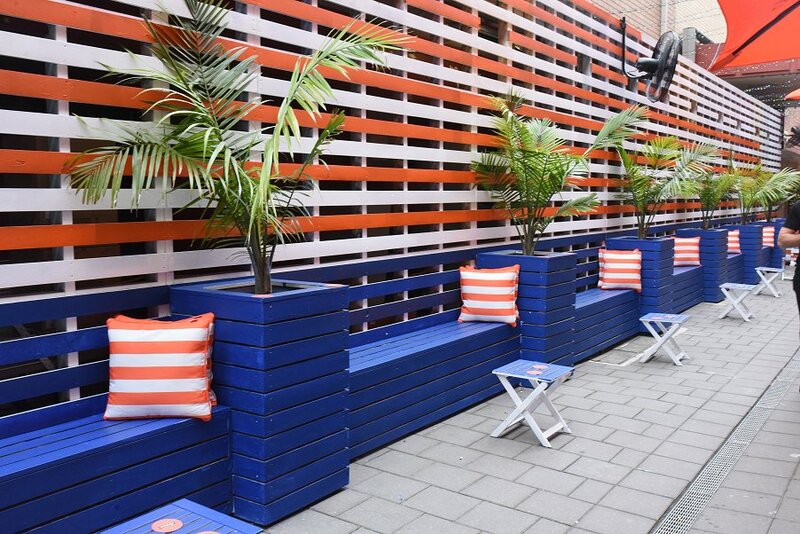 Located on Arcade Lane, right in the heart of the city, Club Aperol will, without a doubt, be your venue of choice this summer. From the team who blessed us with Adelaide’s only late night supper venue, The Propaganda Club, comes an Aperol experience like no other. We were lucky enough to check out the dynamic space last night, before it opens to the public this Friday, and it did not disappoint! Serving up the classic Spritz for only $10 a pop, Club Aperol radiates country club vibes amidst the hustle and bustle of the city. Spanning the entire length of the laneway, the pop-up bar just sings summer on the Amalfi Coast. Complete with an orange, white and blue theme, you’ll be transported to the European summer of your dreams almost instantly. As well as mixing the Spritz on demand, the Propaganda Club bartenders will also be serving up the Negroni Sbagliato for $15, and a range of wine, beer and other spirits. And if you’re feeling peckish from that game of Corn Hole (yes, there’s even games for the competitive at heart), the Club offers a tasty range of small eats, including a Shared Grazing Plate, Salt and Pepper Squid, Cajun Chicken Sliders and Ham and Cheese or Mushroom and Truffle Croquettes. Club Aperol is available 7-days a week for private hire, and will also play host to master classes and candlelight dinners. The charming laneway can cater for up to 200 people cocktail style, or 150 people for a decadent long table set menu. Summer 2017 is set to be the season of the Spritz, and we couldn’t be more excited! 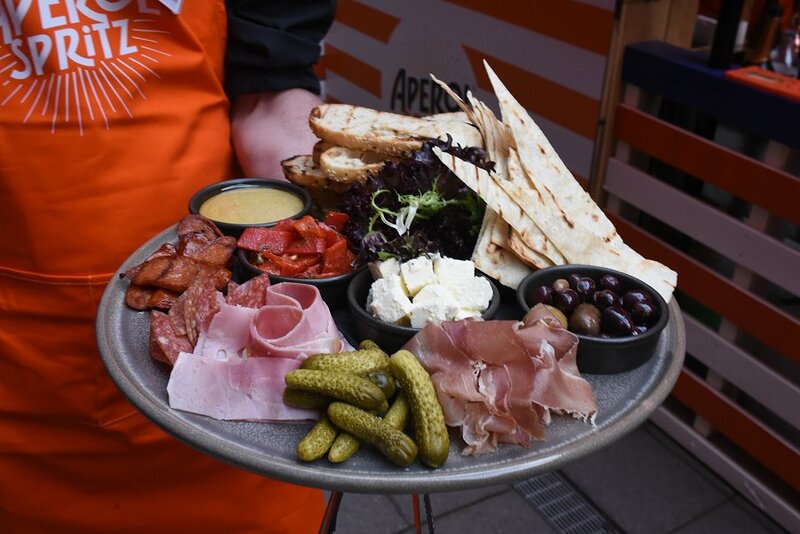 For a sophisticated take on Friday night drinks, or a summery Saturday night in the city, you can’t go past Club Aperol. Drinks anyone? For more information, visit the Club’s Facebook page, or contact the team at joinus@thepropagandaclub.com.au or call on 8223 6411. Club Aperol runs from Friday 27th October until Saturday March 17th (Closed between December 23rd and January 26th). It will be open from Thursday to Sunday from 5pm until midnight.